Gazco’s Logic2 Electric Arts Fire takes inspiration from the Arts and Crafts movement of the early twentieth century; simplicity and clean lines. 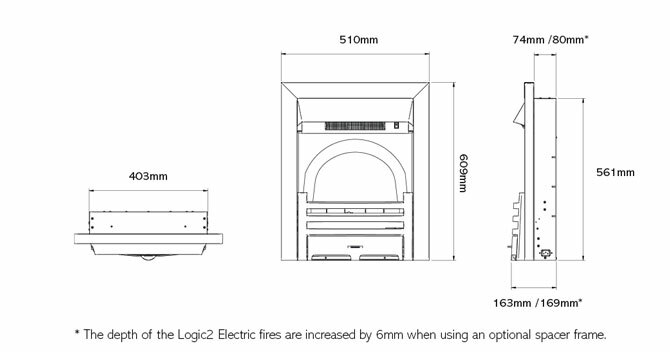 All Logic2 Electric fires enjoy the benefits of coming with three interchangeable fuel beds, to add a unique aesthetic to the fire as and when needed. They are also available in a range of frames and finish combinations, making them very versatile and perfect for any room they are fitted in. With a heat output of 1-2kW and the option to set the flame visuals at two different settings, these fires can be quickly installed with minimal building work and can be fitted against a flat wall with the optional spacer frame.